Two companies linked to Doyin Okupe, a former media aide to President Goodluck Jonathan, got at least N1.6 billion off the former National Security Adviser, Sambo Dasuki, in three shady cyber security contracts, PREMIUM TIMES investigations have shown. One of the contracts had instructions to hunt down unfriendly media websites with Distributed Denial of Service attacks. It was a project conceived to shut down online media platforms perceived as friendly to Buhari or critical of Mr. Jonathan ahead of the 2015 election. The other was a contract to intercept all optic fibre cables landing in Nigeria. The third was a passive mass and target GSM interception that had the ability to decrypt ciphers and operate undetected. Mr. Okupe, a former Senior Special Assistant on Public Affairs to Mr, Jonathan, has so far evaded scrutiny in the ongoing arms contracting scandal where the former National Security Adviser, Sambo Dasuki, is charged for allegedly mismanaging funds meant for the fight against Boko Haram in Nigeria’s northeast region. The government believes Mr. Dasuki’s actions led to the death of thousands of Nigerians and hundreds of Nigerian troops in the hands of Boko Haram fighters. 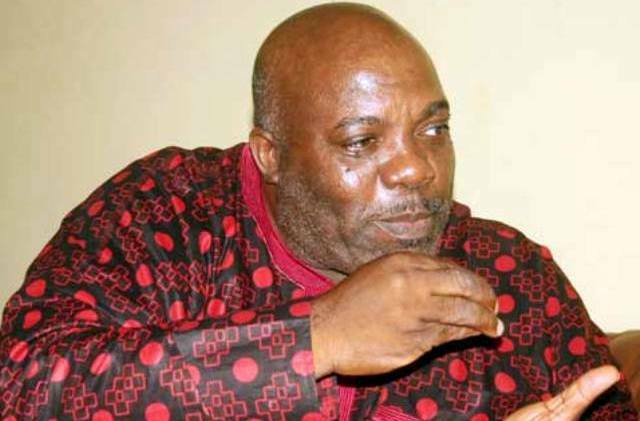 The contracts awarded Mr. Okupe’s close allies reinforces claims that the former NSA merely doled out cash and contracts to cronies and political associates and violated procurement regulations in the process. In the three contracts investigated by PREMIUM TIMES, the NSA did not prioritize efficiency or due process and value for money in the awarding process. Rather, there was a pattern of hurried release of cash. In one instance, full contract sums were paid before delivery of products – and insiders claim product was never delivered. In the three contracts, the NSA paid more than double the actual amounts of items purchased and relied on single source when it could have opened up the contract to competitive bidding.